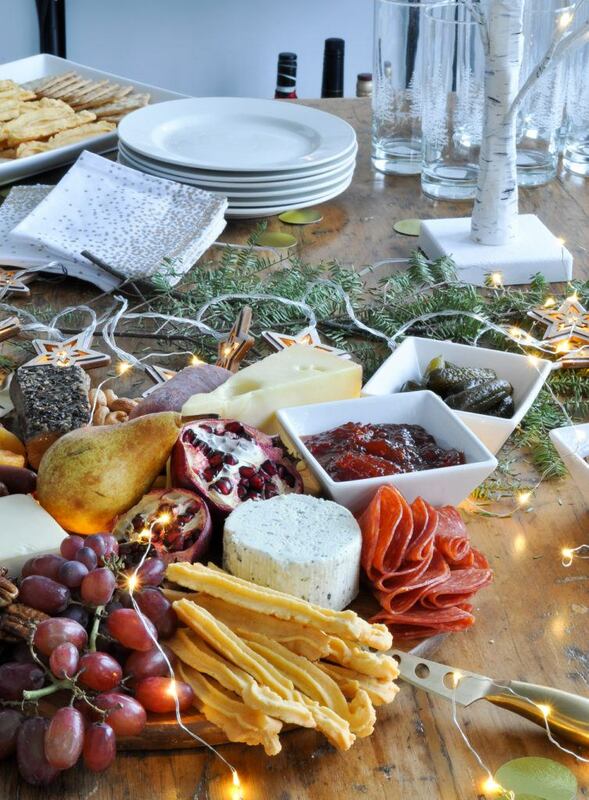 Around the holidays there’s nothing better than hosting get togethers in your home. 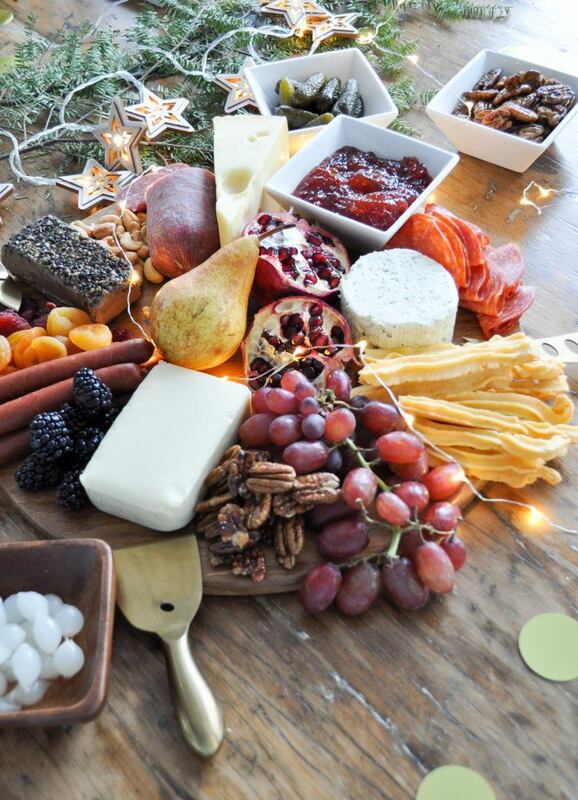 My favourite way to entertain is with an amazing charcuterie board so everyone can help themselves all evening long. Pair that with a great bar cart and you definitely have the makings for an amazing holiday get-together. 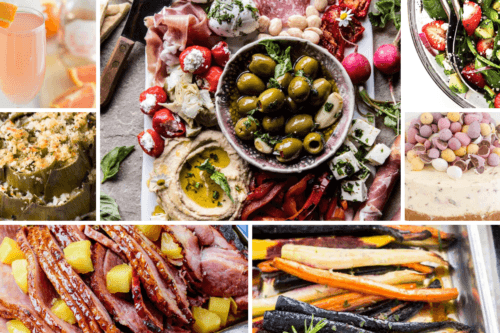 When putting together a charcuterie board for a party there are a few things to remember. Start with a great foundation like the KSP Crushed Bamboo Cutting Board Round. Add in some beautiful cheese knives like the KSP Host Cheese Knife Combo – Set of 3 (Gold). And then add in the KSP Savour Ceramic Entertainment which is perfect for all your holiday entertaining. I love the small bowls for condiments, and the larger platter for crackers. I also love these Home Essentials Acacia Square Bowls. They come in a set of 4 and they’re ideal for holiday nuts and candies. When you’re putting together your charcuterie board remember to include different textures and tastes, think something creamy, chewy, sour and tangy, spicy, sweet, salty, mild and sharp. 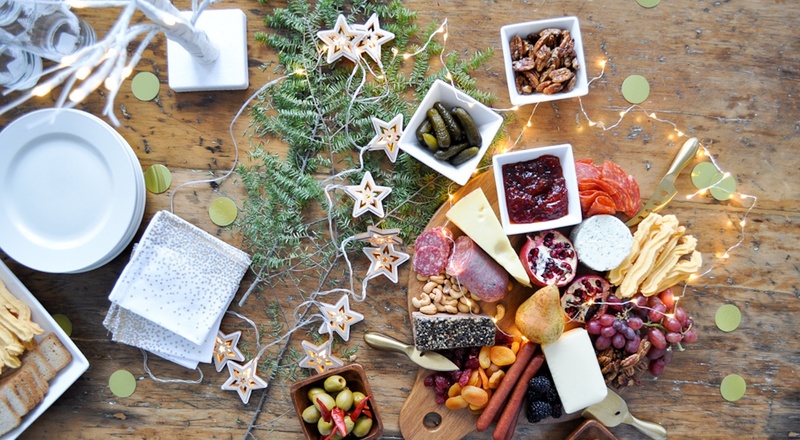 For our board we used Swiss, Havarti, and a soft cheese – a few of our favourites. For our board we used a spicy salami, a mild salami, some turkey pepperoni sticks and a peppercorn pate. It’s great to include some fresh and dried fruit. We used pears, pomegranate, blackberries and grapes. We also added in some dried apricots and dried strawberries –they’re so sweet they taste almost like candy. We love pickles so we had pickled onions, gherkins and olives. For condiments I love a spicy honey, you might also include some different mustards which go great with the meats, or a chutney or onion jam. Include a selection of crackers, flatbreads, and crusty breads like a baguette sliced. We love including our home made flatbreads –recipe here. And how about our spicy cheese straws –find the recipe here. 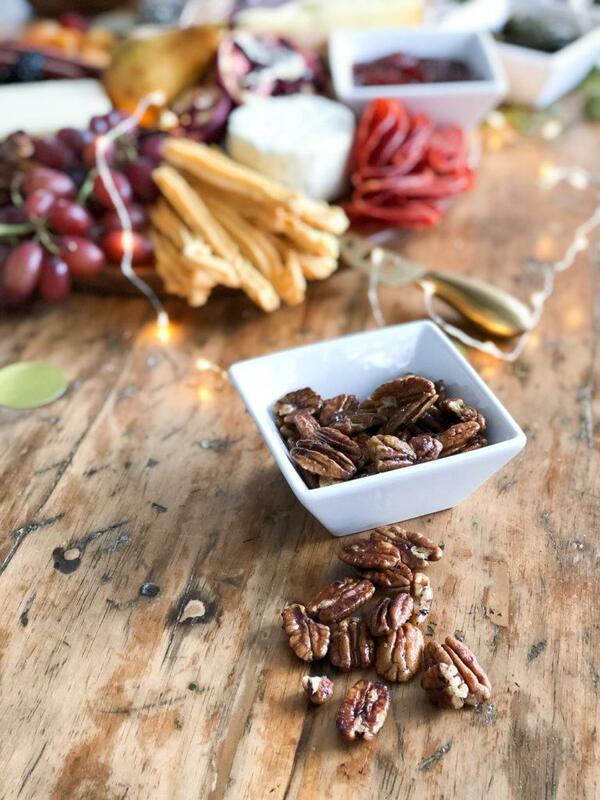 We included roasted salted cashews and our spicy maple pecans – find the easy recipe below. These nuts are such a great addition to a charcuterie board, or even packaged up for gift giving. In a dry skillet, toast the pecans until they start to brown, about 5 minutes. Add in the cayenne pepper and salt. Add the maple syrup and stir together. Turn off the heat. Pour nuts in a single layer on parchment to cool. What goes perfectly with a charcuterie board? A few drinks. 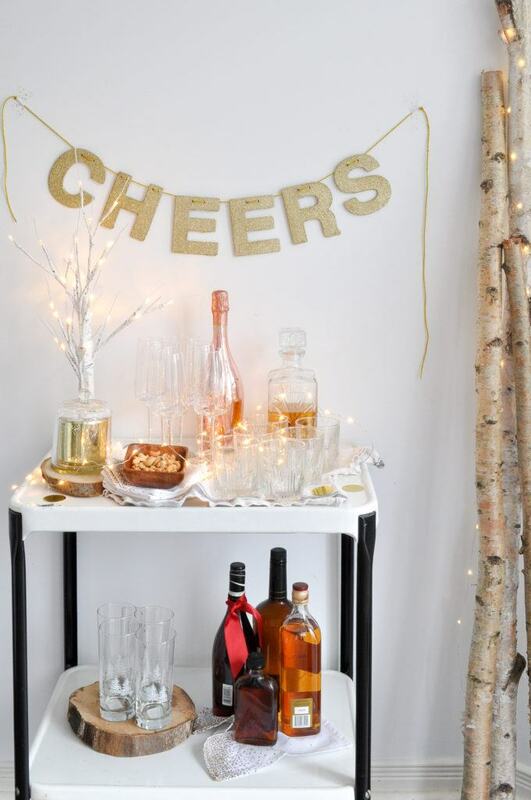 I love to set up a bar cart for a party and guests can help themselves all night. Our bar cart has a few special drinks, but also always remember to have some non-alcoholic options, like sparkling water, juices and soda on hand. 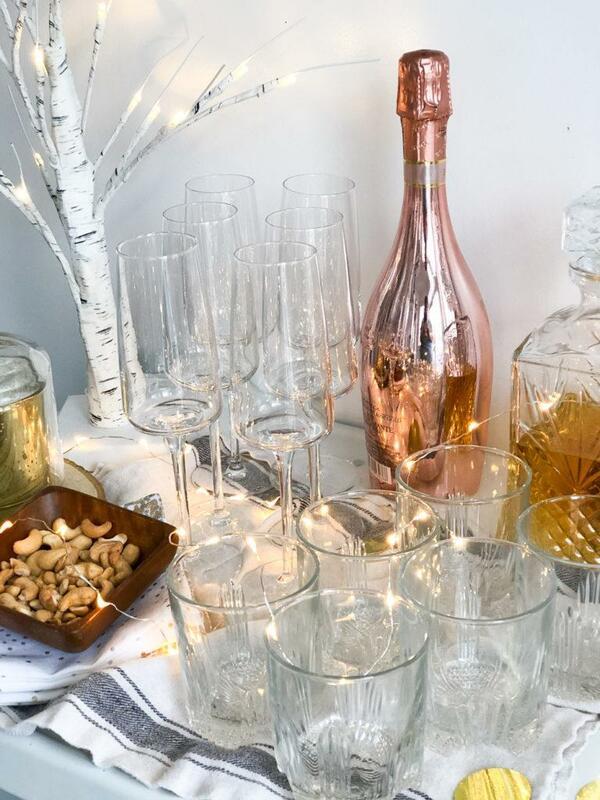 Over on the bar cart we’ve got some special options like sparkling wine along with the Bormioli Rocco Planeo Champagne Flutes – I love their more modern shape. And for the whiskey lovers the Whiskey Decanter and glasses. And don’t forget some cute cocktail napkins like the Harman Christmas Confetti Printed Cotton Cocktail Napkins – Set of 12. For décor we love the Wood Star String Light and the sting lights for a little sparkle. The beautiful birch trees also light up. 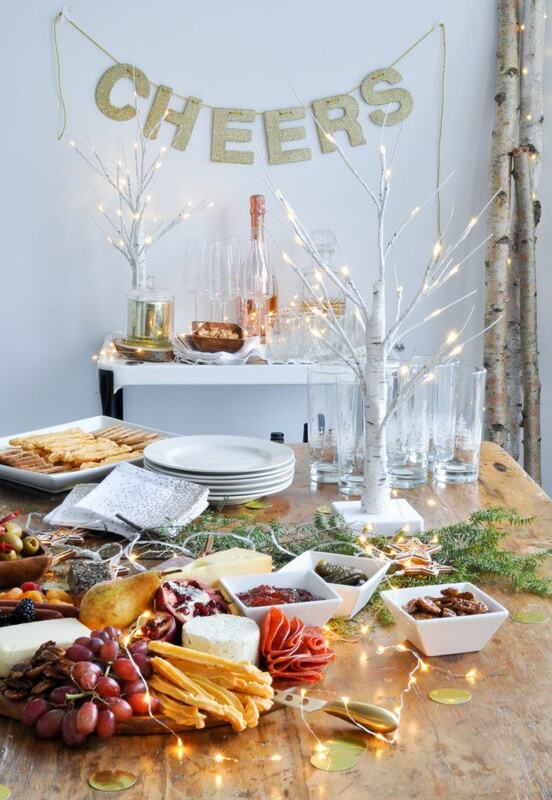 With a beautiful charcuterie board and fun bar cart to enjoy, you and your guests will love your holiday entertaining. 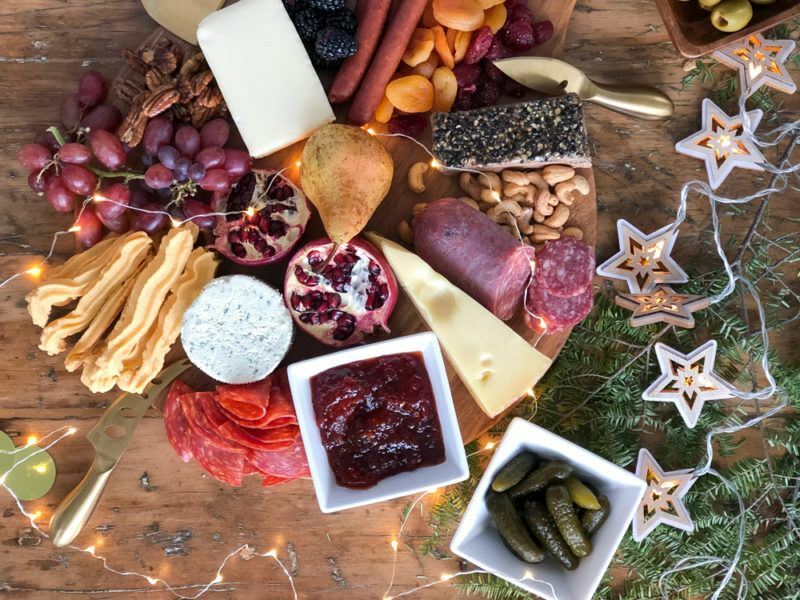 For more festive ideas from Dannyelle, check out her gift guide here – with a new twist on the most adorable cheese board. 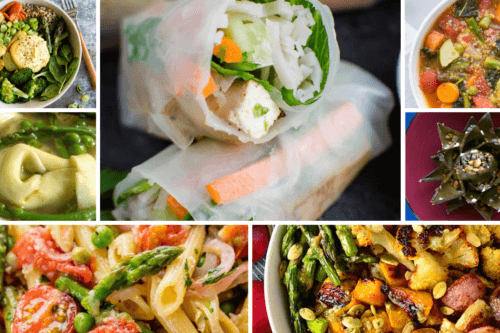 She also has you covered with a yummy recipe for Christmas morning.